We meet at the church office weekly on Friday mornings at 8:30 am. 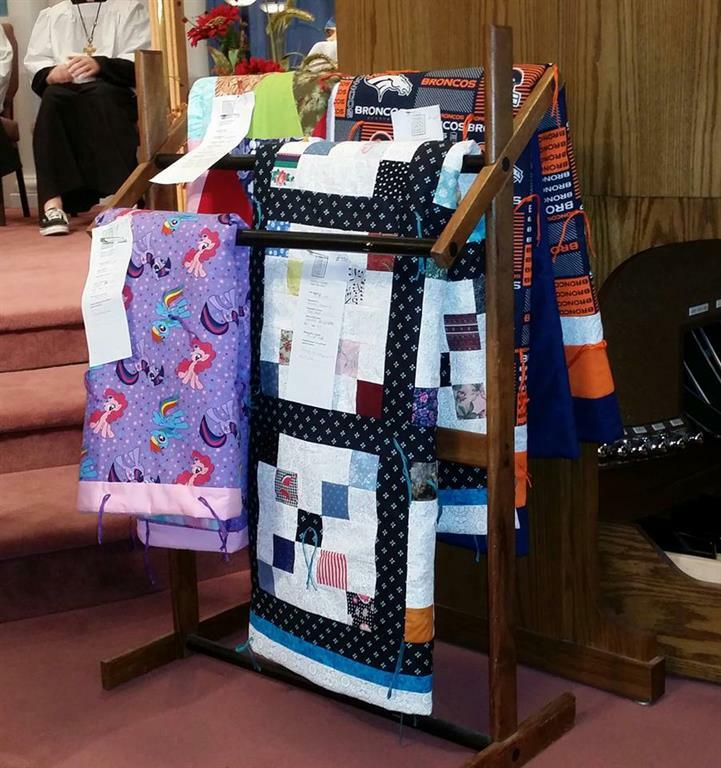 Prayers & Squares an outreach ministry that combines the gift of prayer with the gift of a hand-tied quilt. 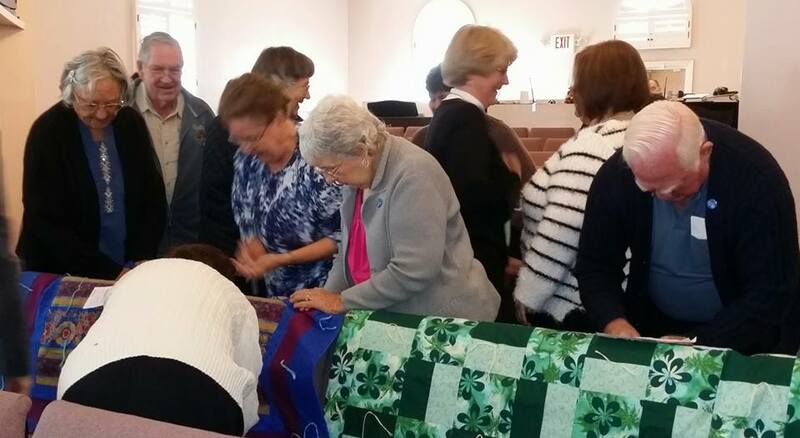 Unlike many other groups that make quilts for charitable causes, the purpose of Prayers & Squares is not to make and distribute quilts, but to promote prayer through the use of quilts. 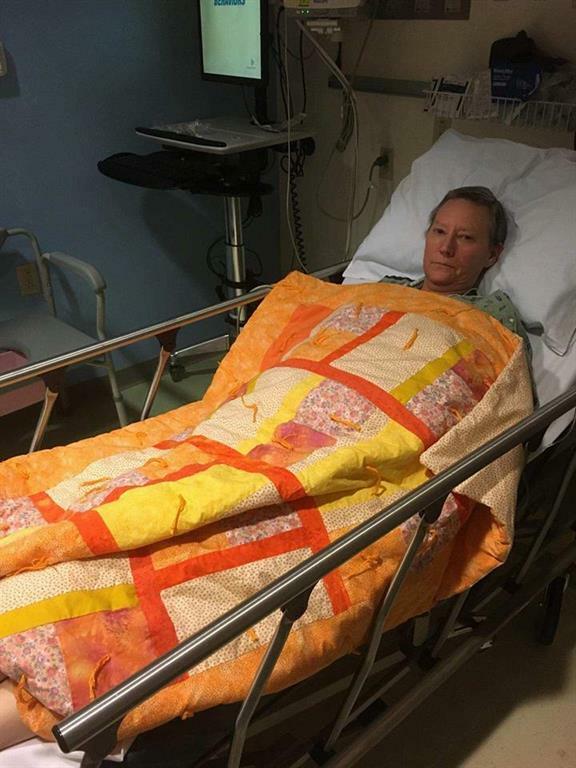 Our motto is: "It's not about the quilt; it's all about the prayers." Anyone who would like to join us is invited to come to the office any Friday morning and we will be happy to explain more about what we do. 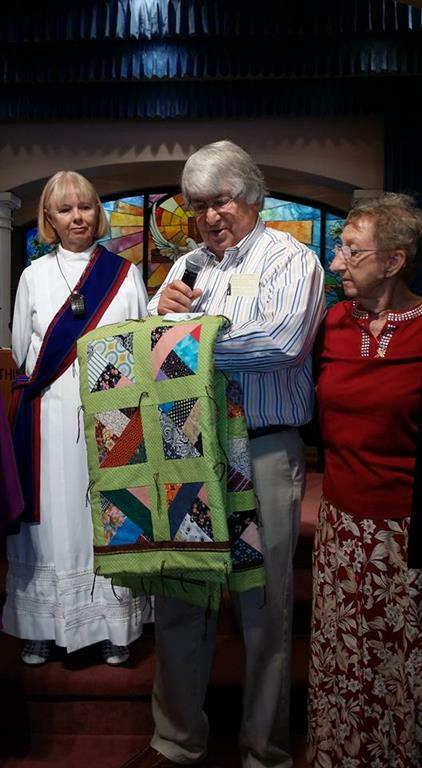 You do NOT have to be a “Quilter”. 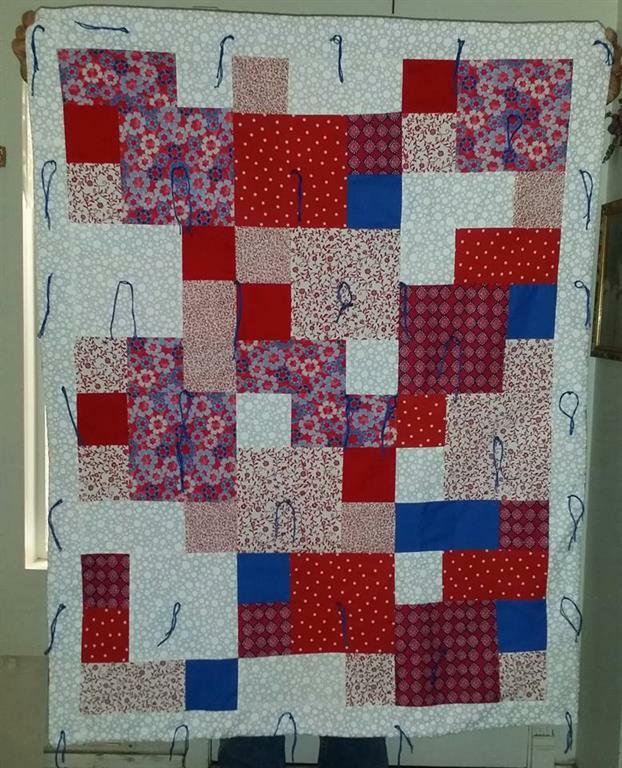 Quilt # 822 went out in July!